We had a great time, lovely village with everything you could wish for. Seamer is a village we have never been to, but not far from Scarborough , Filey and Bridlington, lots to do , would visit again. Julie the owner and her husband were lovely and helpful . 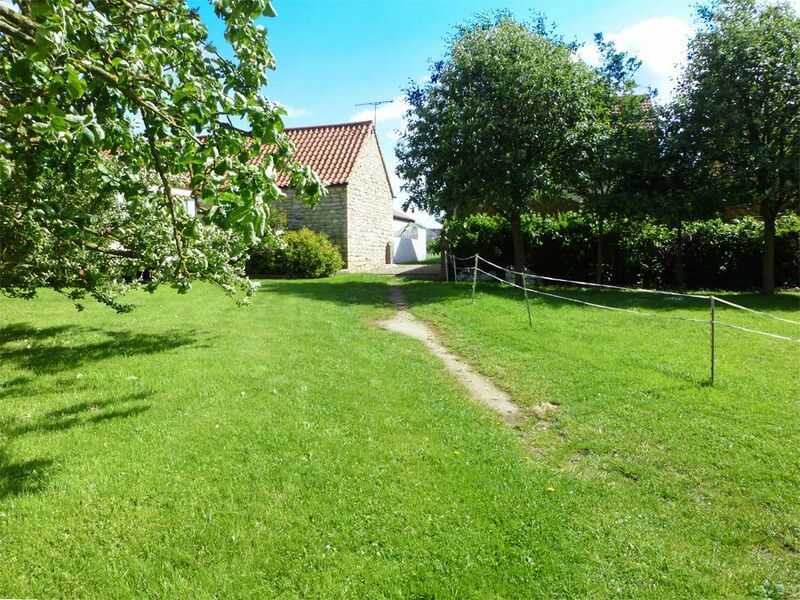 A delightful detached barn conversion on the edge of a lovely village. 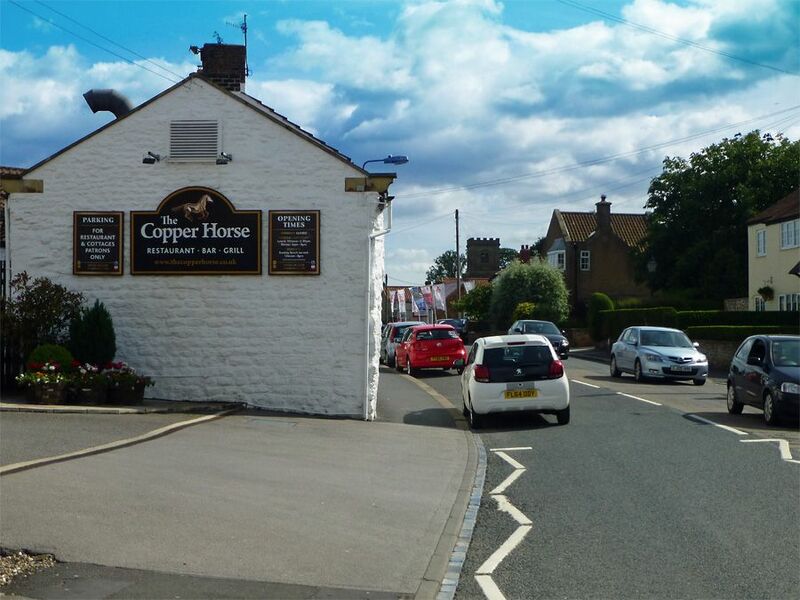 Seamer Village offers pubs, restaurants, local shops and great local rural walks. 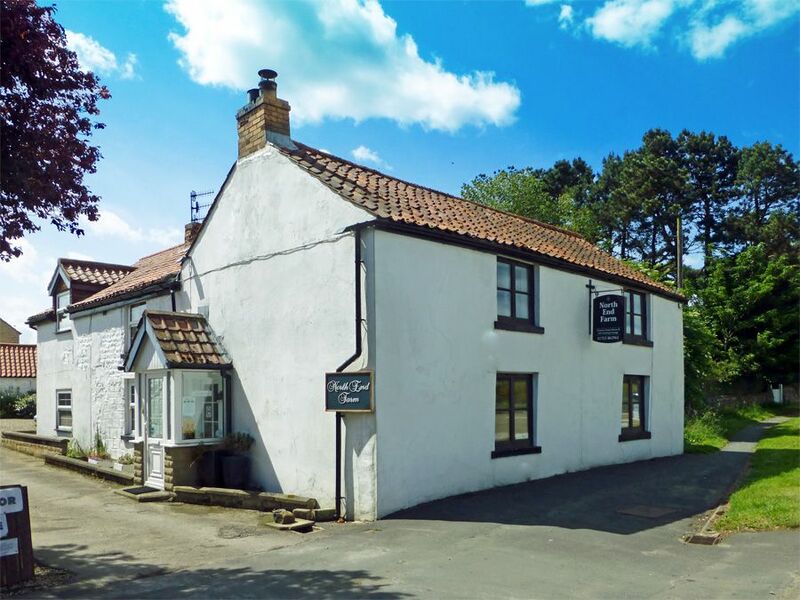 Just inland from the Yorkshire Coast and near the North York Moors this is the ideal base for exploring this fascinating, scenic area. 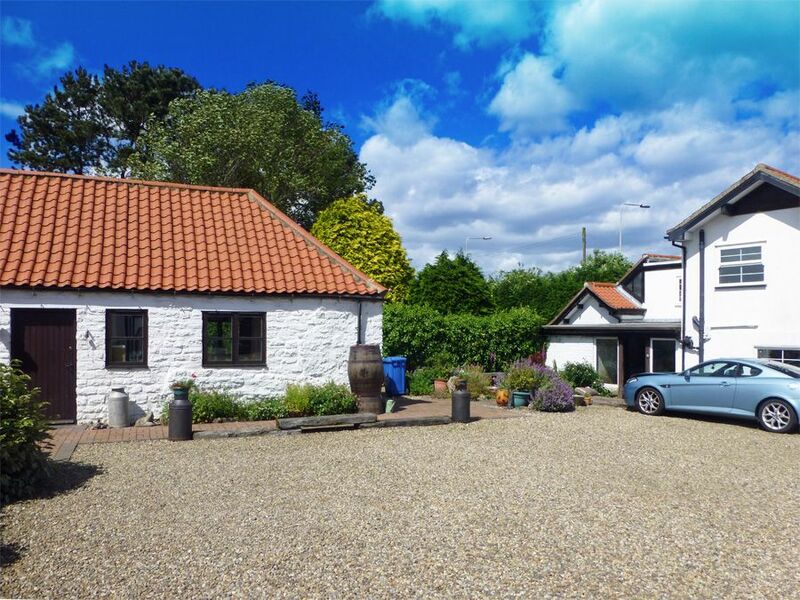 With private parking, and all on one level Piglet Cottage provides ideal accommodation for a variety of guests. Your pet stays free. 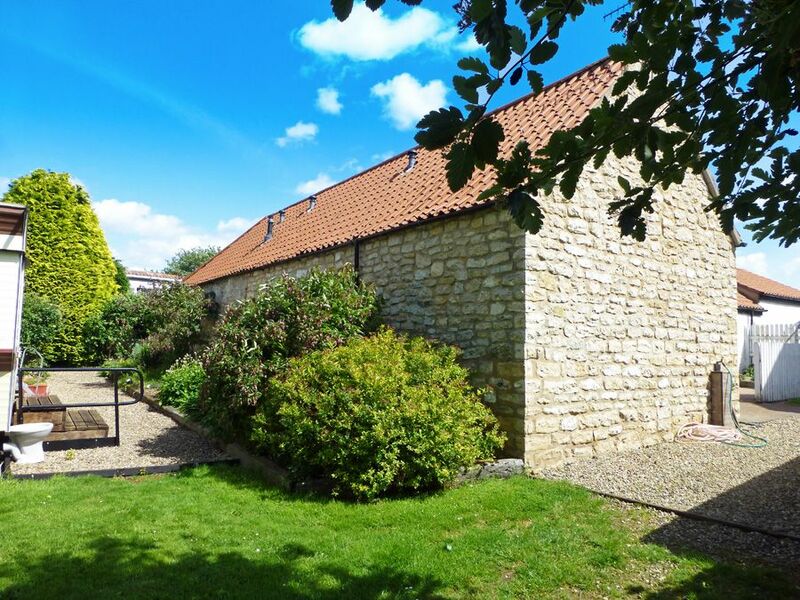 2 bedrooms are available but you can make a saving by booking Piglet Cottage as 1-bedroom accommodation (in this case you would NOT have use of the 2nd bedroom or its ensuite facilities). It is made up of an open plan dining/kitchen/lounge, two bedrooms, a family bathroom plus a shower room ensuite to the 2nd bedroom. 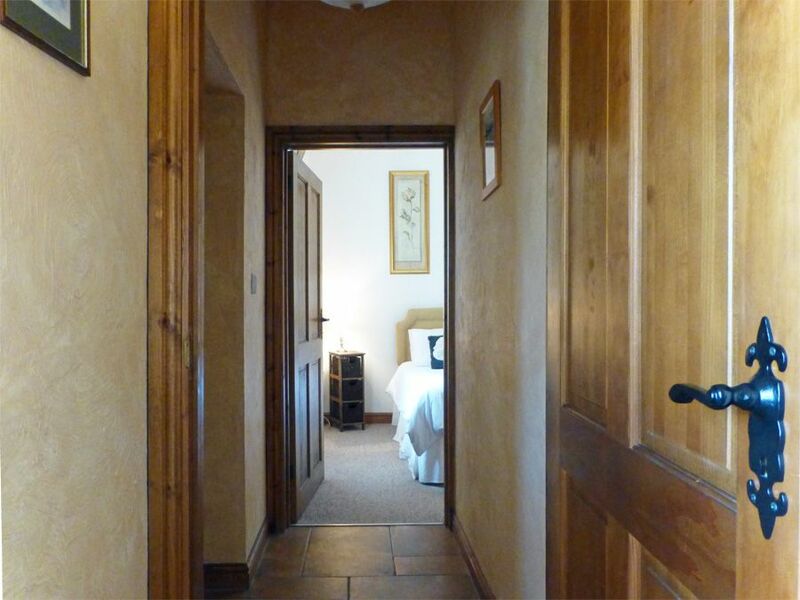 A corridor runs along most of the length of the building, with windows set into the thick stone walls, looking out over pretty, well-kept grounds.. Off the corridor you have 2 inviting, tastefully-furnished bedrooms and the main bathroom. 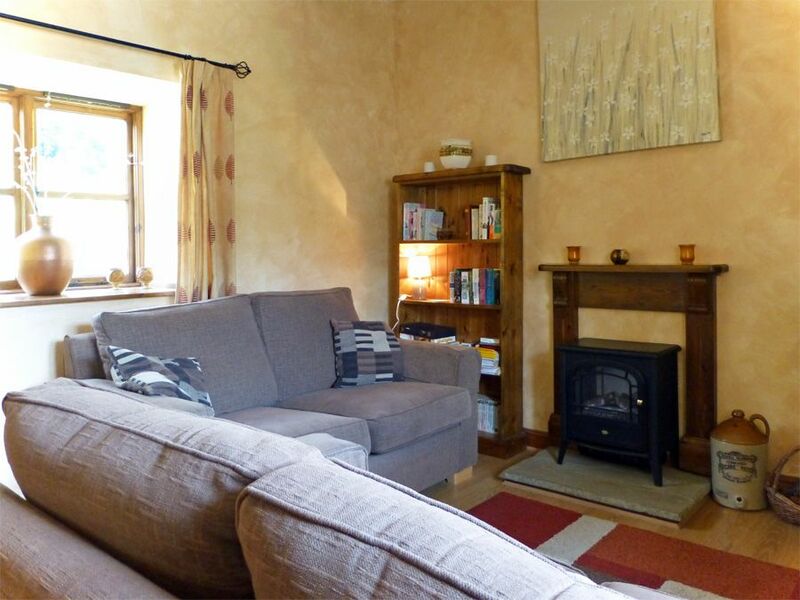 The living room is a comfortable, cosy, relaxing space with 2 x 2 seater sofas, and an effective log-effect stove in addition to the central heating. 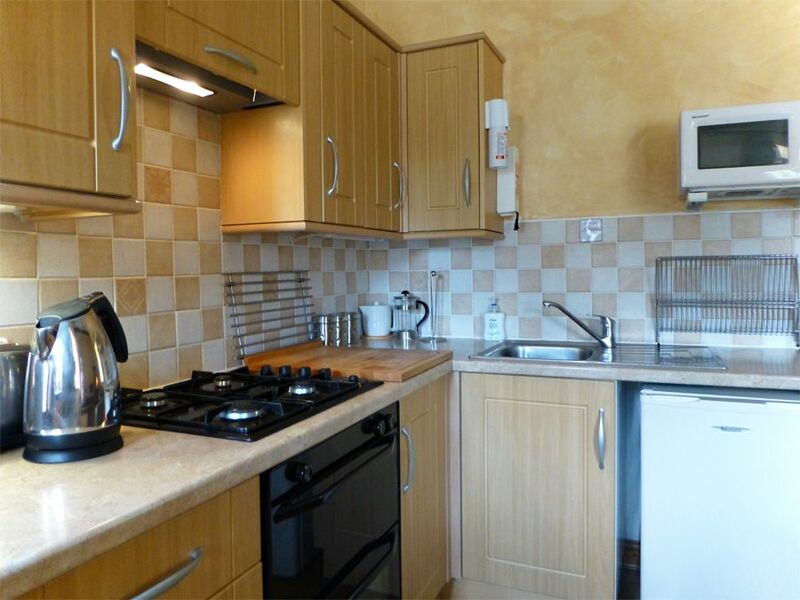 Set to one side of this attractive multi-purpose room is the kitchen area, complete with quality units and appliances. There is a sturdy foldaway table with chairs. Each bedroom has a wall-mounted TV and cleverly-designed hanging and storage units, making the most of the space. The 1st bedroom is a comfortable DOUBLE. The 2nd can be arranged with the bed as a KING-SIZE or as 2 x 2 ft 6 in SINGLES. 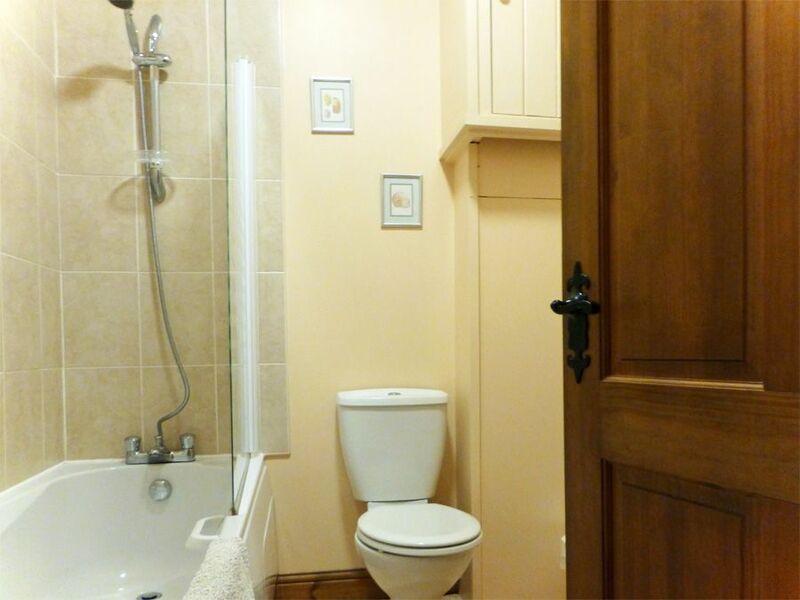 The main family bathroom has a BATH and SHOWER OVER, wash basin and WC.. 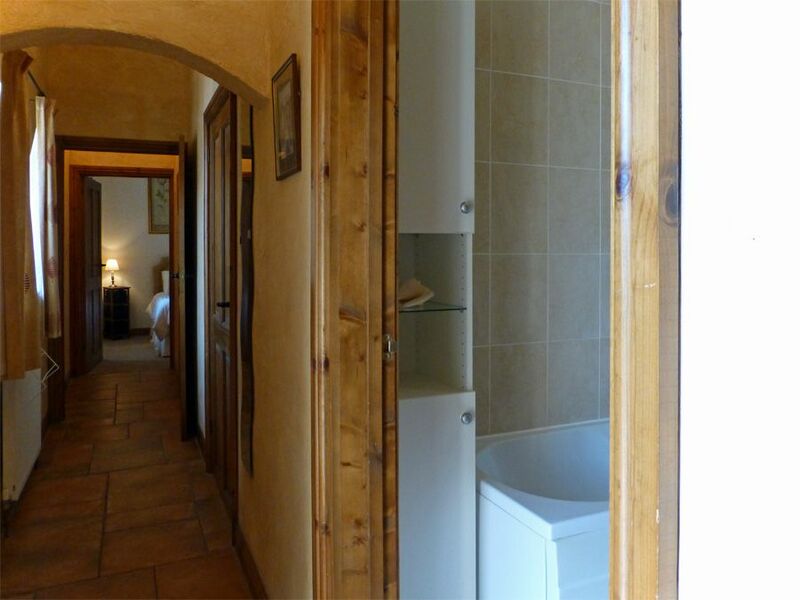 The 2nd is ensuite to the second bedroom and has a walk-in shower, wash basin and WC. 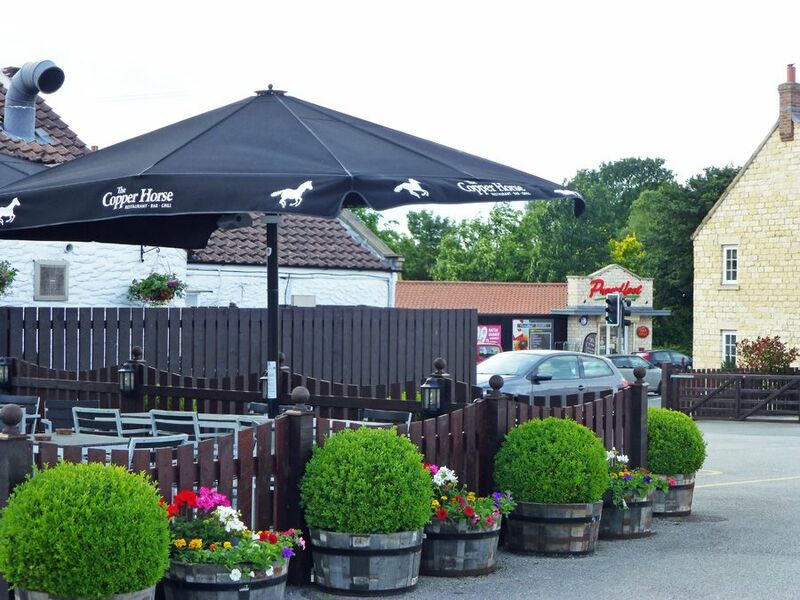 You have a private patio area with garden furniture and barbecue. 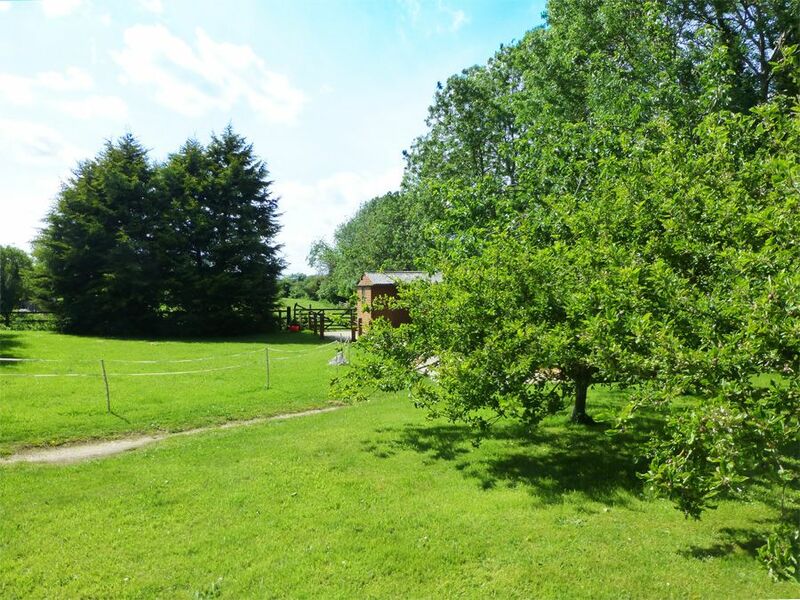 Piglet Cottage is within the grounds of the owners' Country Guest House. 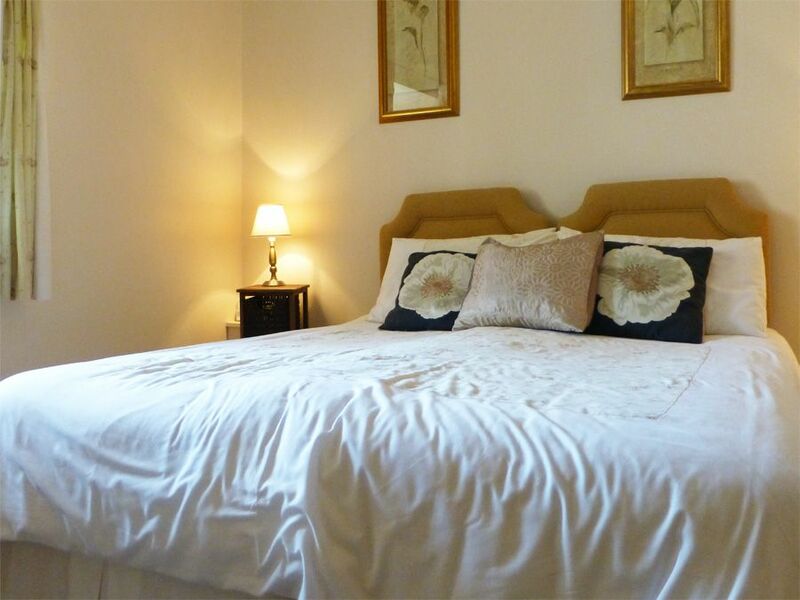 All bed-linen, TOWELS, hot water and heating is included in the tariff. A COT or a CHILD'S BED can be provided and set up in one of the bedrooms, please ask. NOTE : WiFi is difficult to receive inside the cottage due the thick walls of the property but it is available on request at the property owner's adjacent Guest House. IMPORTANT. 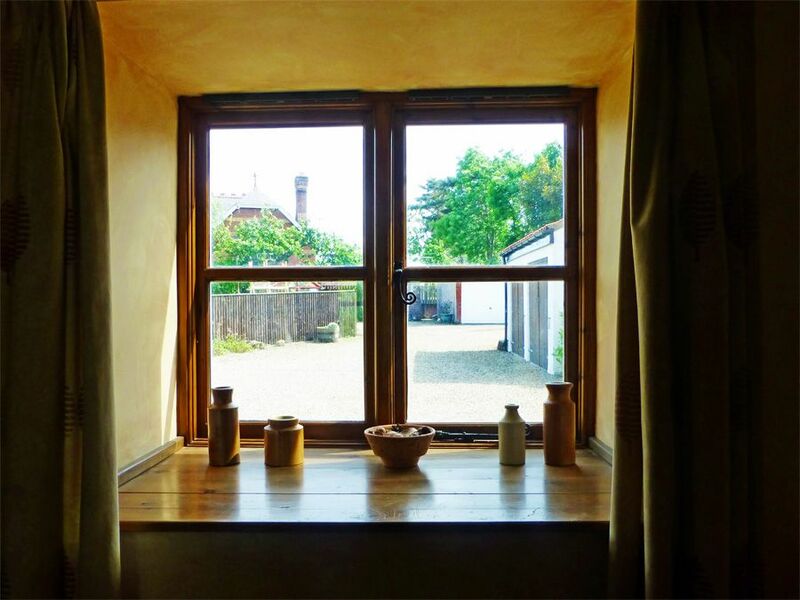 If you are booking Piglet Cottage as a one-bedroomed property, you will be using the 1st DOUBLE room and the family bathroom with shower over bath, (this means you will not have use of the 2nd bedroom with its ensuite/walk-in shower). We will assume you want only 1 bedroom if you book for 2 people and we will apply the discount automatically. 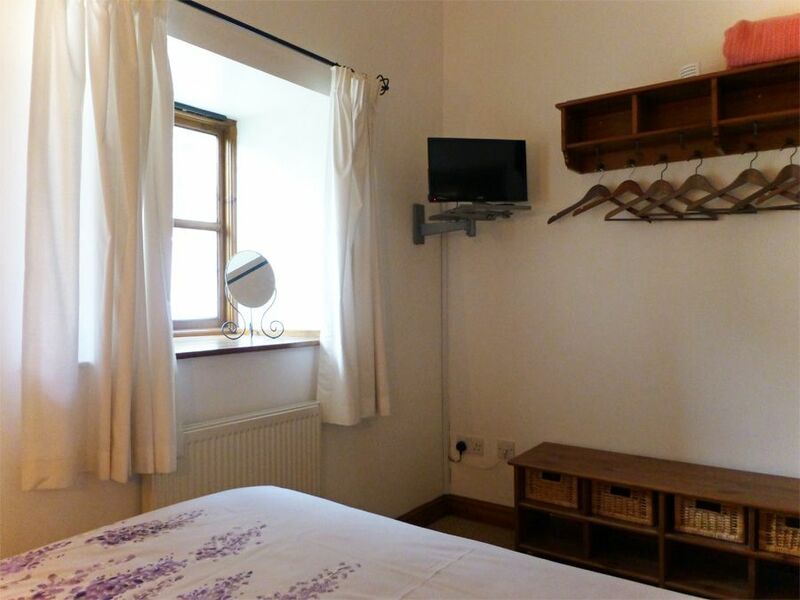 If there are 2 of you, but you require BOTH bedrooms you must let us know in advance... unfortunately the low occupancy discount is not available when both bedrooms are used. 1 small/medium dog welcome at no extra charge. Private off-street parking immediately outside the cottage. 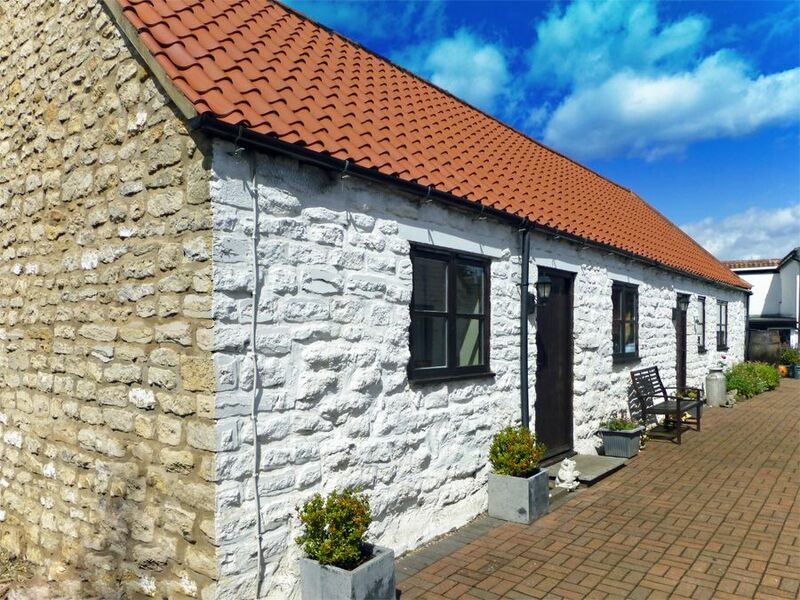 Seamer Village lies between Scarborough and the North York Moors National Park, so is ideally located for those wishing to explore the countryside as well as the coast. 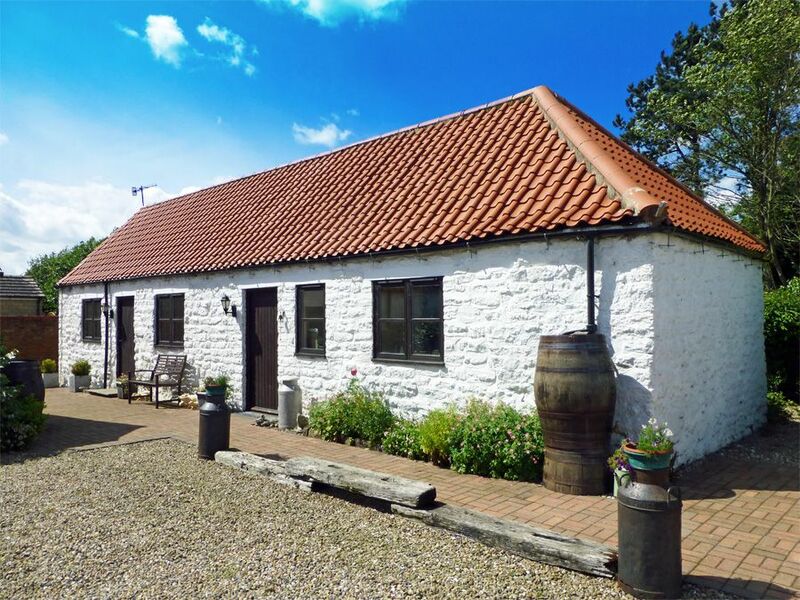 Piglet Cottage is a quaint and characterful small barn conversion, in a semi-rural village setting, inland from the resort of Scarborough. 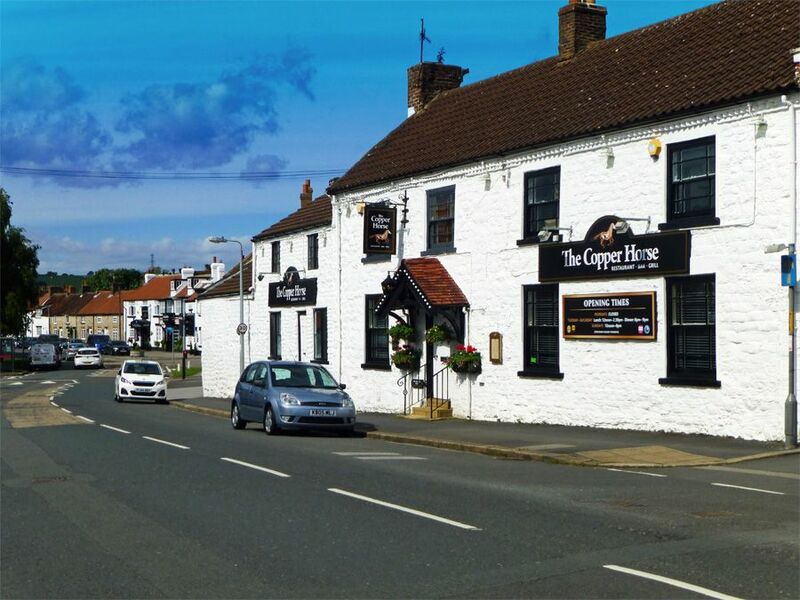 The pretty village of Seamer offers a variety of excellent restuarants/pubs, local shops, a fish and chip shop and a regular bus service to the coast. Scarborough Town Centre (3-4 miles away) can be reached by car in 10-15 mins. There are plenty of picturesque walks nearby. 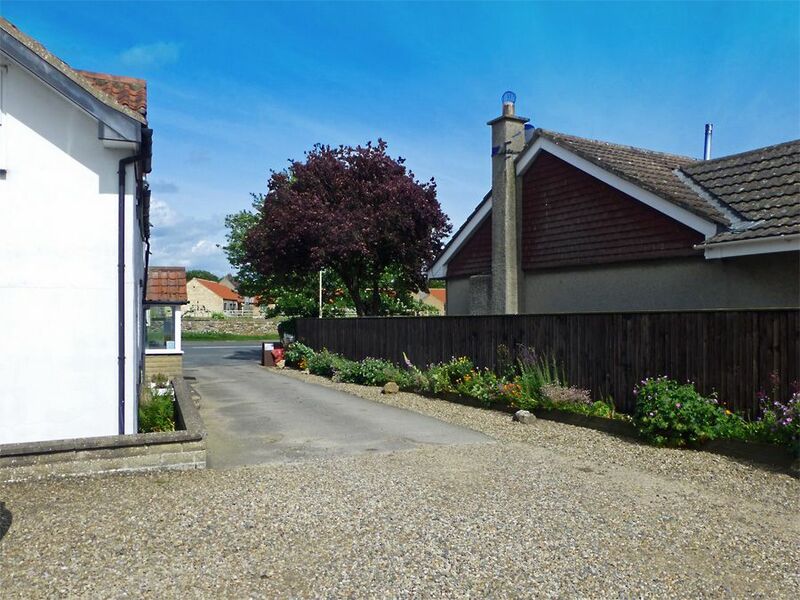 Seamer sits amidst open famland but is handy for the A64 (Scarborough to York). 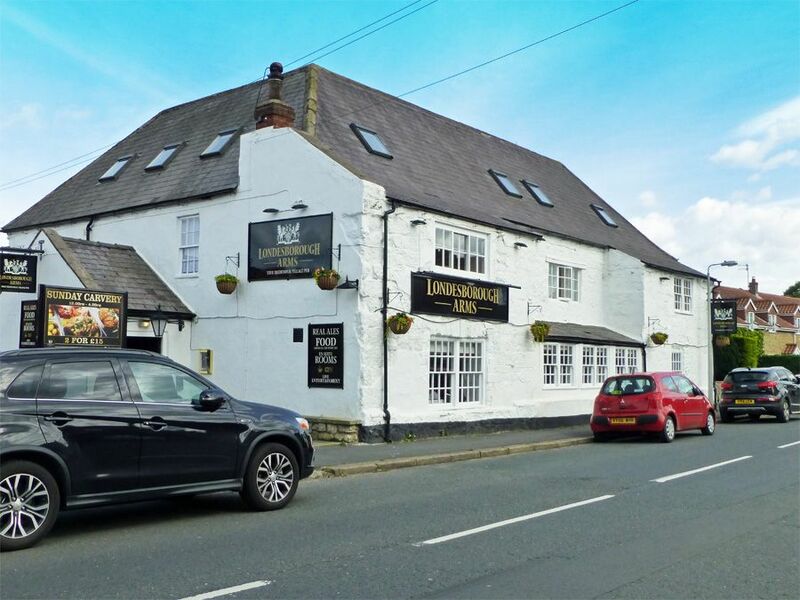 Great as a base for visiting the Yorkshire Coast fishing villages of Robin Hood's Bay and Staithes and the historic port of Whitby which is only 20 miles North. York is a 40 minute drive west. 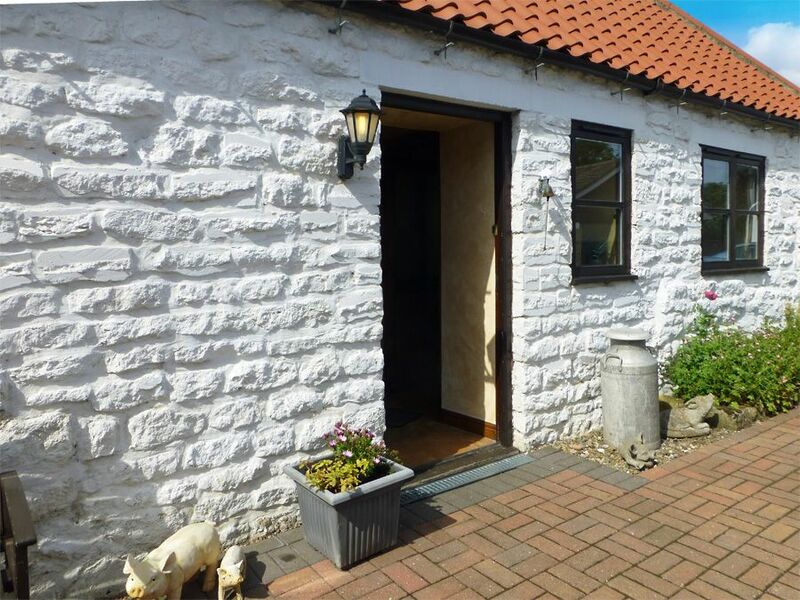 On their way to Scarborough trains stop at Seamer Station approx' a mile away from this delightful holiday property. A good, hearty Farmhouse Breakfast is available in the owner's Guest House nearby, at an extra cost. 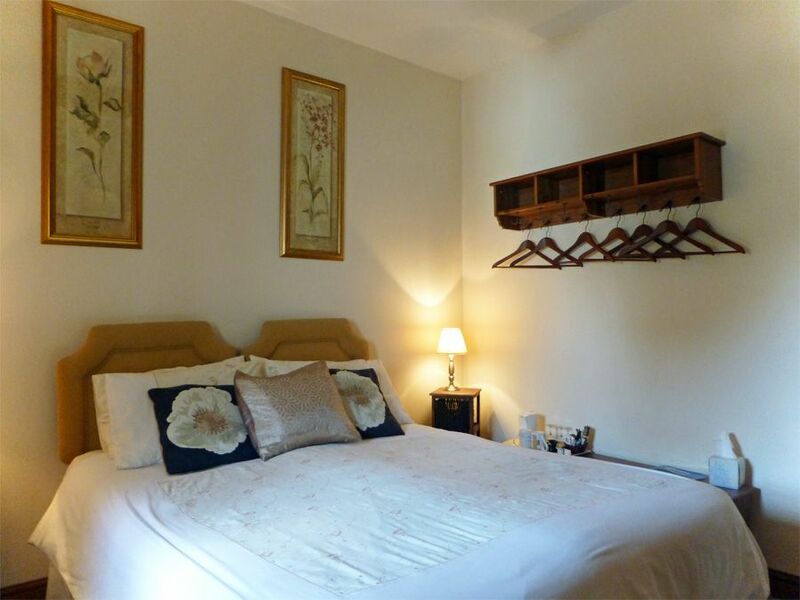 Piglet Cottage is situated within the grounds of the owner's Country Guest House. 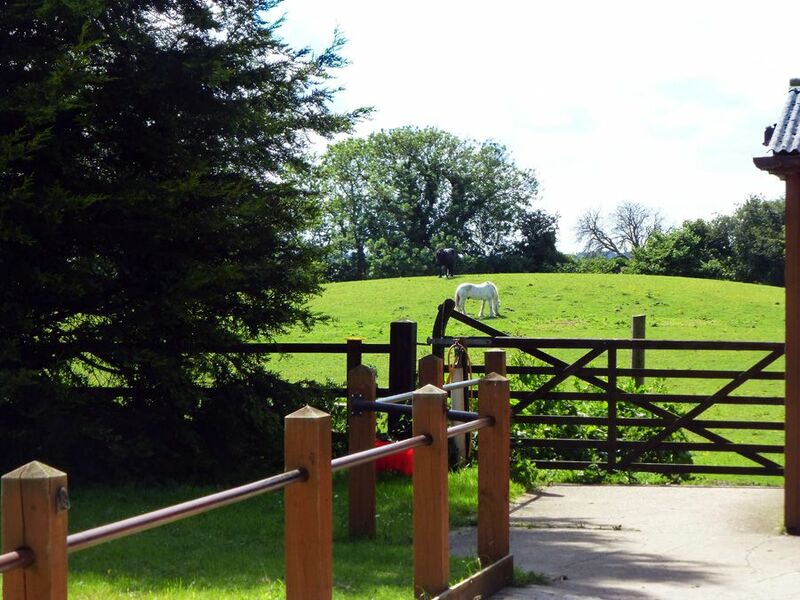 There is also a caravan in the grounds and stabling for horses. 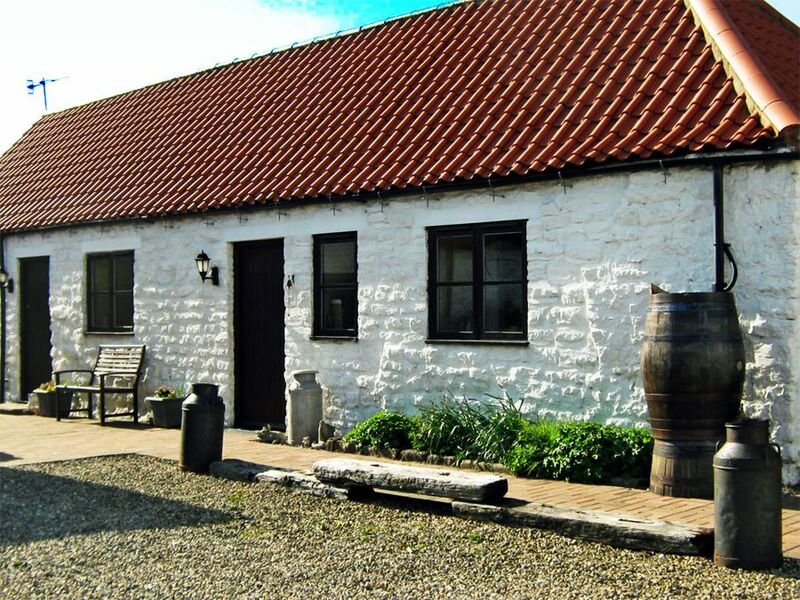 LOW OCCUPANCY DISCOUNT IS AVAILABLE THOROUGHOUT THE YEAR AT PIGLET COTTAGE......and is automatically applied if you enter 1 or 2 guests in your booking details.. 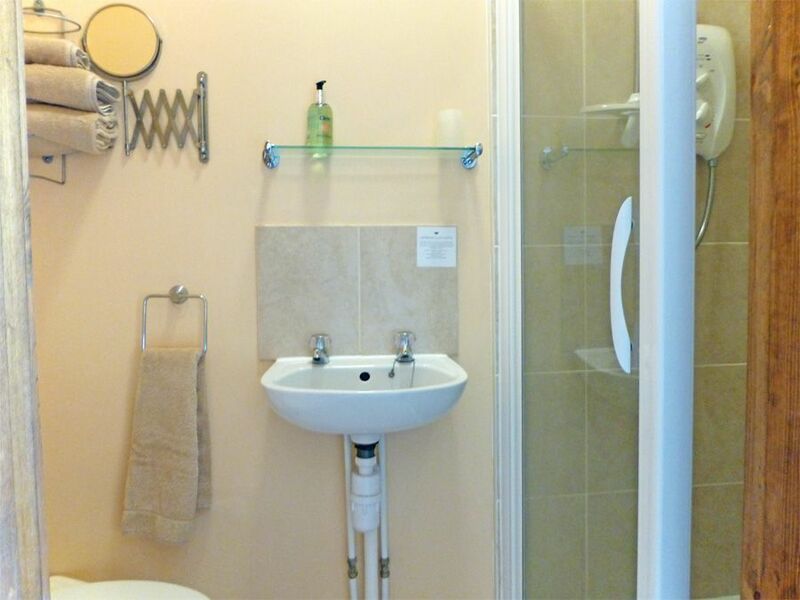 If you are benefitting from A LOW OCCUPANCY DISCOUNT you will be using only the 1st double-bedded room and the family bathroom with shower over bath. 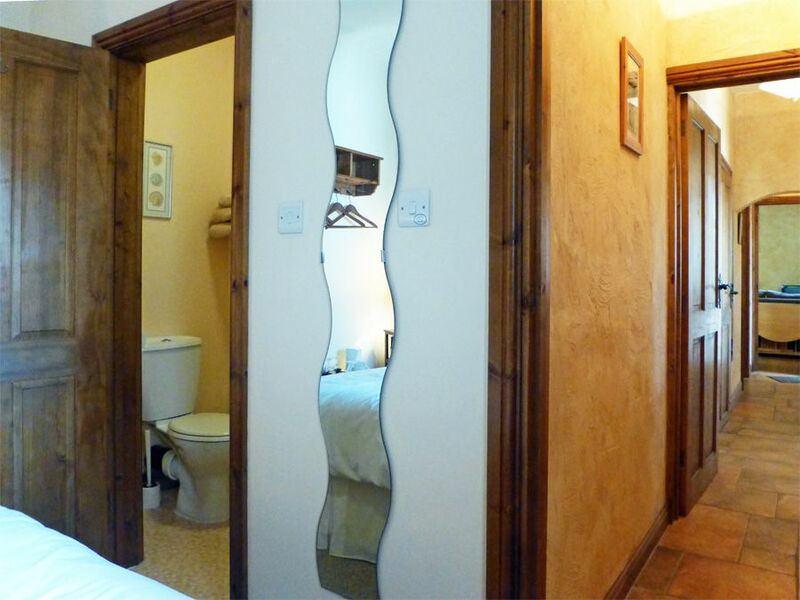 In other words you will have use of all areas of the property, EXCEPT the 2nd bedroom with its ensuite/walk-in shower. 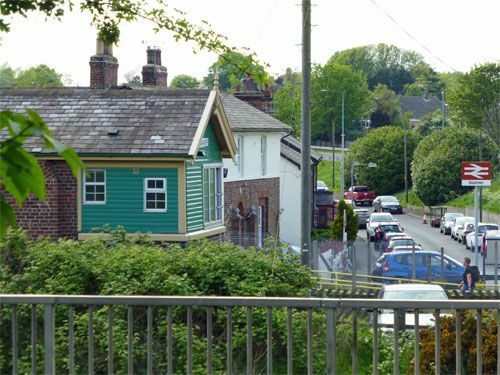 Short breaks are automatically allowed in OFF-PEAK periods no matter how far in advance you book......AND are also be allowed if you are book within 2 weeks of arriving. 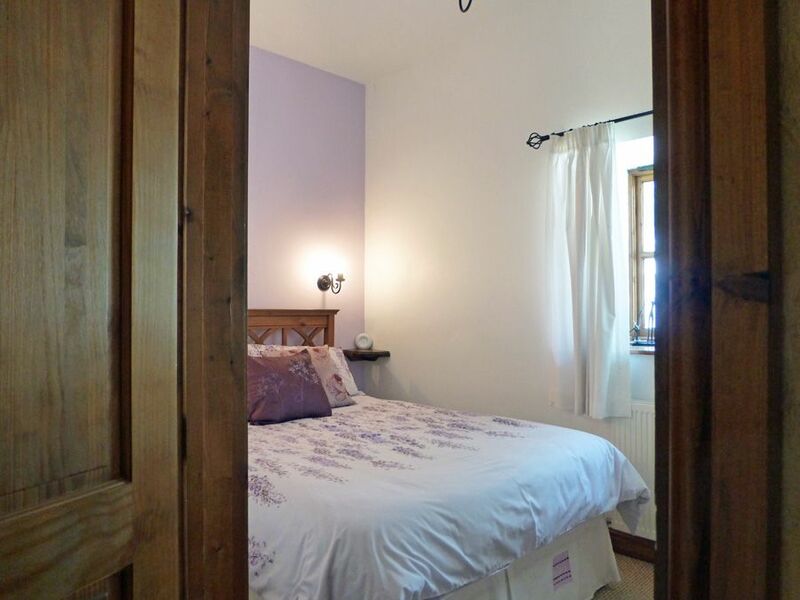 LATE AVAILABILITY DISCOUNT is applied if you book within 2 weeks of your holiday start date. NOTE: We allow multiple discounts .... and all discounts are applied automatically when you book online... YOU CAN SEE THE PRICE BEFORE YOU CONFIRM YOUR BOOKING. An excellent holiday cottage which fulfilled all our needs. Owners very friendly and helpful. 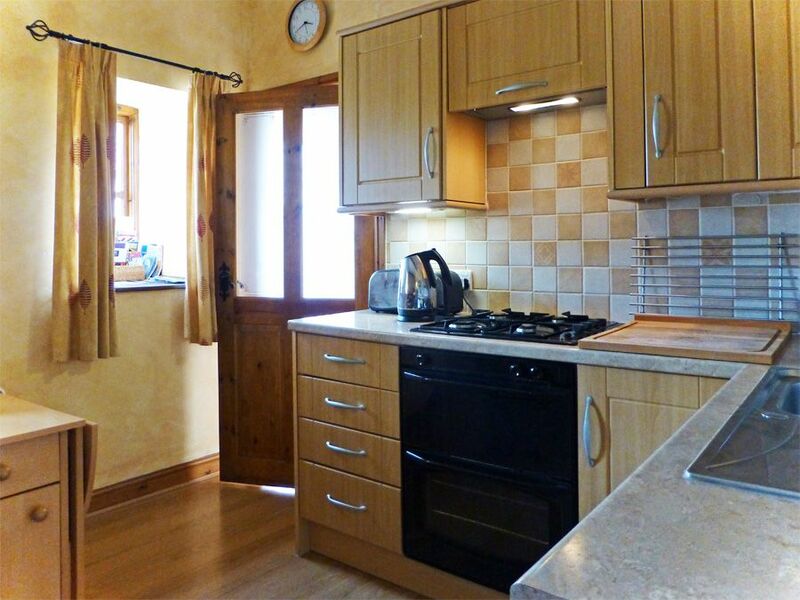 Great location with places to eat and a well stocked supermarket in walking distance of cottage. 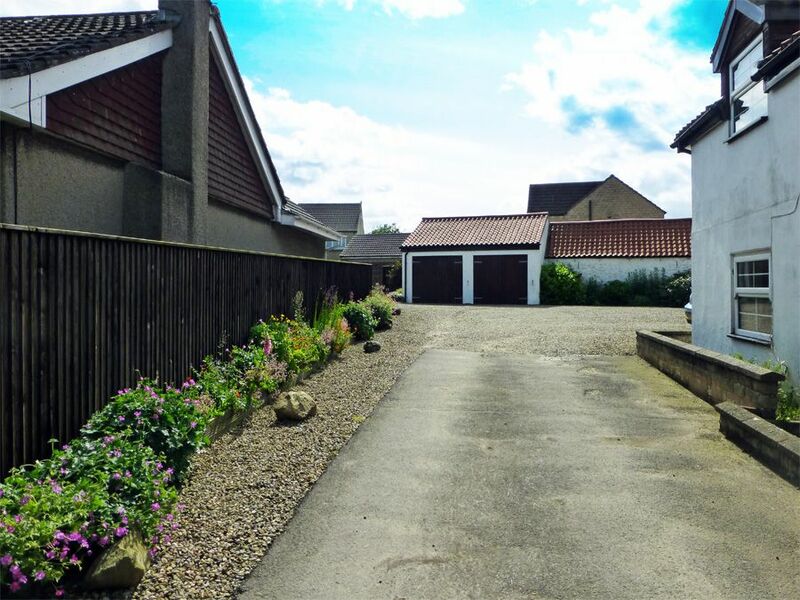 Minutes away from nearby Scarborough and a good park and ride. Would definitely stay here again. 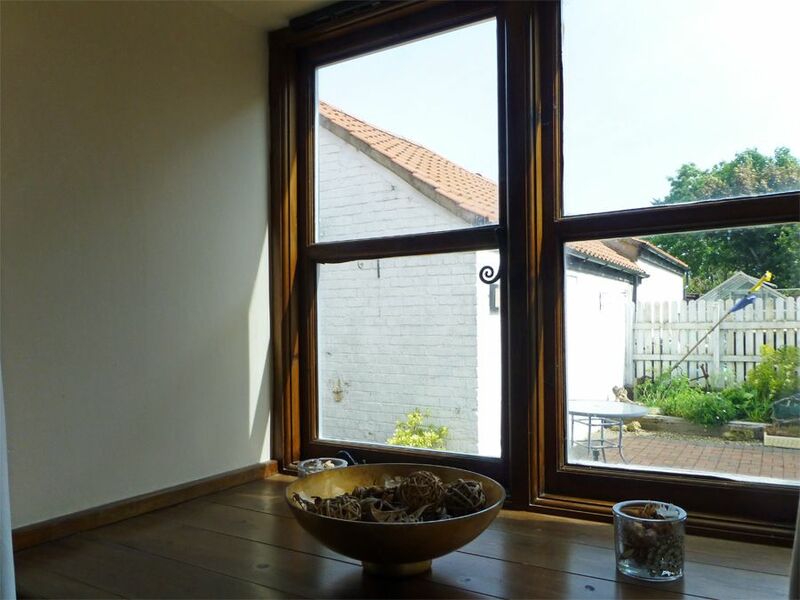 We booked the cottage online through Bedwyn's and were pleased with it when we arrived. 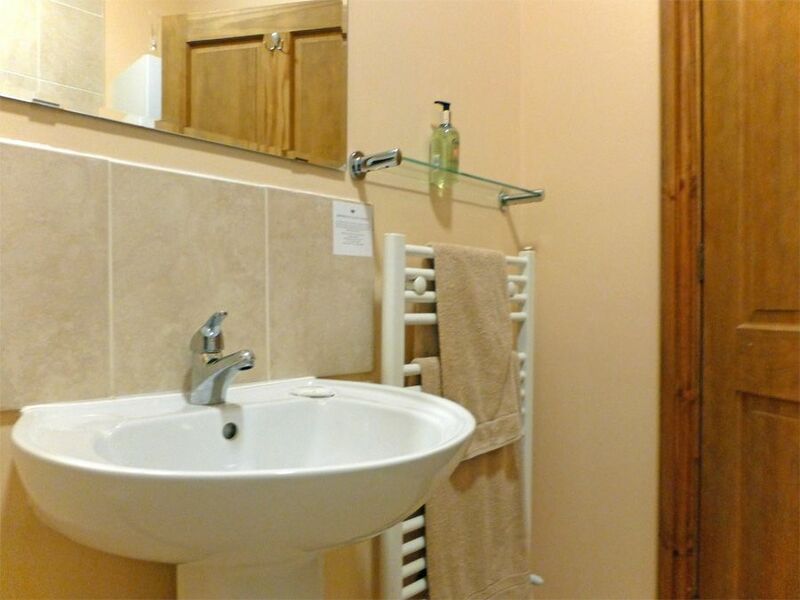 The owner was friendly and happy to help, although we didn't need any as the cottage is well equipped. It was quiet and peaceful and provided us with a great base to tour the area. Beautiful cottage the owners very friendly and helpful. Lovely location easy access to many seaside coast. The village of seamer is beautiful. Our sixth visit.... Yet again we enjoyed our stay at Piglet Cottage. It is starting to feel like home from home. Seamer is such a convenient location for getting north and south along the east coast.